What is customer success at the FT? 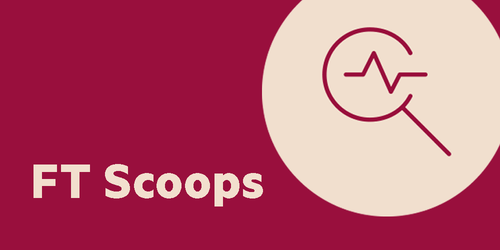 Find out more about what our customer sucess teams do and what it means as part of an FT Group subscription. They help your teams achieve their business goals faster by understanding the nature of your business, key objectives and matching FT's market intelligence accordingly. 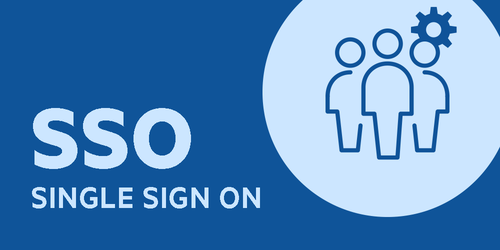 Did you know you can use your company’s identity provider to easily and securely access FT.com? 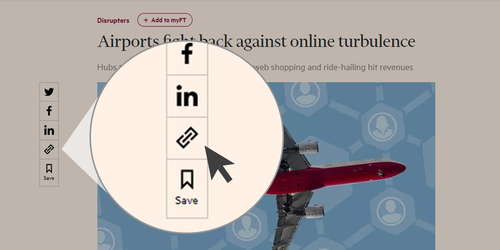 We often hear from customers that the FT provides trusted information that allow readers to see outside their field of vision and make more informed decisions.We now have more than 4,000 customers with group subscriptions, spanning corporations, professional services firms, banks, government agencies and business schools. Our customers are located in countries around the world reflecting the international nature of the FT and how it is used to understand what’s happening in today’s interconnected economy. 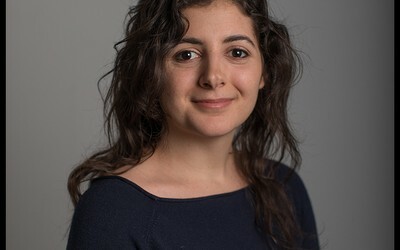 Find out more in a Q&A with Lilah Raptopoulos, the FT's Community Editor. What is the difference between an FT.com standard and premium subscription? We frequently hear questions from customers asking about the difference between the FT.com Standard and Premium subscription packages. This post addresses the most common questions , enabling you to evaluate the most appropriate package for your needs. 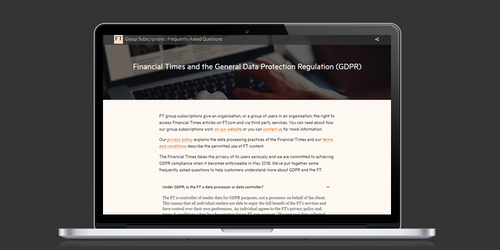 What is included in an FT Group Subscription? Find out more about the difference -and benefits- of a group subscription vs buying an individual subscription. 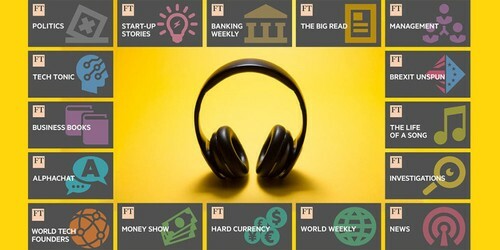 Covering politics, tech, music and everything else - get to know our wide range of free podcasts.